Florida OTs can earn up to 12 hours required for renewal through online courses offered @pdresources.org. Save 20% now! Click here to save 20% on online CEUs! Professional Development Resources is an American Occupational Therapy Association (AOTA) approved provider of continuing education (#3159). The assignment of AOTA CEUs does not imply endorsement of specific course content, products, or clinical procedures by AOTA. Professional Development Resources is also approved by the Florida Board of Occupational Therapy Practice and is CE Broker compliant (all courses are reported within a few days of completion, provider #50-1635). Georgia-licensed Occupational Therapists (OTs) have a biennial license renewal deadline of March 31st of even-numbered years. Twenty four (24) hours of continuing education (CE) are required to renew, and effective April 1, 2018, all courses must be reported to CE Broker. CE Broker is a continuing education tracking and management system used by accrediting organizations to electronically track CE compliance of licensees. The purpose is to ensure 100% compliance without having to perform audits. Licensees are unable to renew their licenses until they have met their CE requirements and posted the credits to CE Broker. Notes: 2 hrs in ethics of OT practice req’d each renewal. 14 hrs must relate to “hands on” patient care. If a GA OT has not registered earned CE credits with CE Broker, the licensee must include all CE certificates of completion with the license renewal application or application for reinstatement. Professional Development Resources is a nonprofit educational corporation approved to sponsor online continuing education (CE) for GA OTs by the American Occupational Therapy Association (AOTA), and reports all course completions to CE Broker. Georgia OTs can earn up to 12 hours per renewal through online courses offered @pdresources.org. Over 90 online courses to choose from. Click here to view AOTA-approved online CEU courses. North Carolina OTs and OTAs have an annual license renewal deadline of June 30th and are required to complete fifteen (15) continuing competence activity points (hours) in order to renew. All continuing competence courses and activities must relate to roles and responsibilities in occupational therapy and must enhance the therapist’s continuing competence. Each licensee shall document completion of at least one contact hour (one point) of an ethics course related to the practice of occupational therapy. 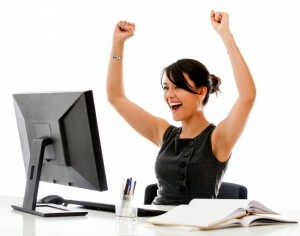 The one point may be included in the total of the required point total for the renewal period. North Carolina OTs enjoy 20% off all online continuing education (CE/CEU) courses offered @pdresources.org. Over 100 courses available. Professional Development Resources is an American Occupational Therapy Association (AOTA) approved provider of continuing education (#3159). The assignment of AOTA CEUs does not imply endorsement of specific course content, products, or clinical procedures by AOTA. Click here to view AOTA-approved online CEUs. Save 20-30% on online and video continuing education courses with our Monthly CE Specials! Hurry, sale ends May 31, 2015! Sale prices valid on future orders only. Professional Development Resources is an American Occupational Therapy Association (AOTA) approved provider of continuing education (#3159). The assignment of AOTA CEUs does not imply endorsement of specific course content, products, or clinical procedures by AOTA. Professional Development Resources is also approved by the Florida Board of OT Practice (Provider #50-1635) and is CE Broker compliant (all courses are reported within 1 week of completion). Missouri-licensed Occupational Therapists (OTs) and Occupational Therapy Assistants (OTAs) have an upcoming license renewal deadline of June 30, 2015. All OT/OTA licensees are required to complete 24 hours of continuing education in order to renew. The hours must be obtained between 7/1/2013 – 6/30/2015 and may all be taken online. At least fifty percent (50%) of the twenty-four (24) continuing competency credits must be directly related to the delivery of occupational therapy services, and the remaining CCCs must be related to one’s practice area or setting. The continuing education is only to be submitted to the board office upon request. Please visit Continuing Competency Requirements for more information. 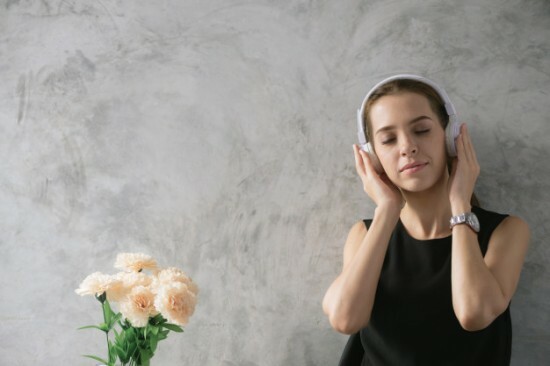 Professional Development Resources is approved by the American Occupational Therapy Association (AOTA #3159) to provide online continuing education courses to occupational therapists and occupational therapy assistants. Missouri-licensed OTs and OTAs can earn all 24 hours for renewal through online courses available @ https://www.pdresources.org/profession/index/5. Professional Development Resources is an American Occupational Therapy Association (AOTA) approved provider of continuing education (#3159). The assignment of AOTA CEUs does not imply endorsement of specific course content, products, or clinical procedures by AOTA. Professional Development Resources is also approved by the Florida Board of OT Practice (#34) and is CE Broker compliant (all courses are reported within 1 week of completion). We report to CE Broker for you (so you don’t have to report any courses you complete with PDR). We report every Thursday, but are also reporting on Mondays through your renewal so you won’t be held up because of us. 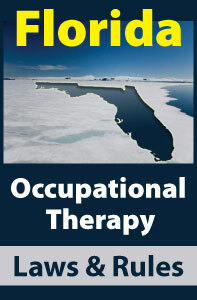 Our courses are considered “home study” by the Florida OT Board. You are allowed to earn up to 12 hours per renewal through our courses. The Administration on Aging (2011) projects that the number of people over the age of 65 will double by the year 2030, when elders will represent almost 20% of the population in the United States. The aging of America is due to a shift in mortality from acute diseases to chronic, degenerative illnesses. An elder today is more likely to die of a chronic cardiac condition, for example, than acute pneumonia. 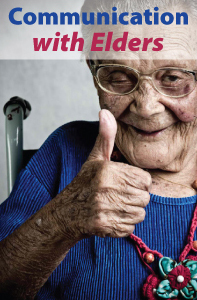 Two-thirds of elders have multiple chronic medical conditions (CDC, 2013). Many elders have complex communication needs as a result of cognitive, motor, or sensory barriers. These barriers must be understood in order to facilitate communication, especially in medical settings where communication is vital for treatment (Downey & Happ, 2013). Effective, appropriate communication with elders is important for many reasons. For occupational therapists, communication is the foundation of service delivery. Communication is required for assessment of the person prior to treatment. Symptoms are, after all, subjective and must be reported by the person to the clinician. Effective communication also contributes to health literacy; the person’s understanding of her condition, treatment options, and the treatment plan to be followed. A person cannot comply with a treatment program unless the program is communicated clearly enough for the person to understand it. The more effective the communication, the more effective treatment will be – and the more cost effective. Communication also helps the clinician understand the whole person: the emotional, social, and financial realities that affect response to treatment and ability to comply. 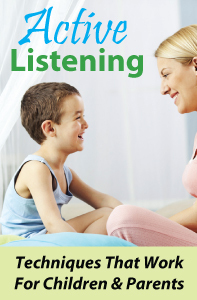 This is the basis for a therapeutic partnership that supports the person and his family (Lubinski, 2010). Research shows that effective interpersonal communication has a significant impact on patient satisfaction in healthcare (Power, 2012). Wilner and Feinstein-Whittaker (2013) strongly state, “All medical professionals must speak with clarity, effectiveness, credibility, confidence, and compassion.” However, communication with elders includes not just the identified patient, but also often a caregiver. This may be a spouse or an adult child. Since elders are living longer, the adult child accompanying the elder may be an elder herself. A review of caregiver “companion” studies revealed that companions regularly attended medical appointments. Companions could be helpful by providing informational support but could also be challenging when dominating the appointment (Laidsaar-Powerll, 2013). It is important to be aware of the communication dynamic during three-way communication in order to assure the elder is heard and important issues are addressed. This online course provides instant access to the course materials (PDF download) and CE test. Successful completion of the online CE test (80% required to pass, 3 chances to take) and course evaluation are required to earn a certificate of completion. You can print the test (download test from My Courses tab of your account after purchasing) and mark your answers on while reading the course document. Then submit online when ready to receive credit. Enroll now. Professional Development Resources is an AOTA Approved Provider of continuing education (#3159). OT Content Focus – Domain of OT: Client Factors and Mental Function; OT Process: Intervention. This program is offered for 0.2 CEU’s. The assignment of AOTA CEU’s does not imply endorsement of specific course content, products, or clinical procedures by AOTA. Professional Development Resources is also approved by the Florida Board of OT Practice (#34). Participant successfully completed the required assessment component for this activity.